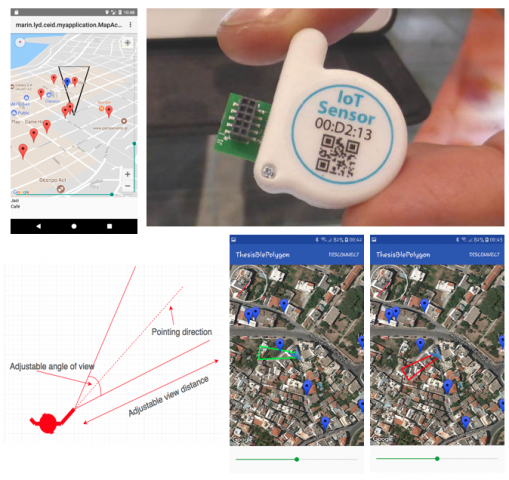 In this paper, we discuss the implementation of a prototype application (URQUELL) for the opportunistic discovery of POIs in a urban environment, and the multimodal, non-visual interaction with the system to retrieve details about these. The application works by pointing a smartphone or a wrist- worn sensor kit towards a physical venue location of interest. By retrieving information about the venue pointed at over various APIs, the application presents these to the users via high quality text-to-speech synthesis, negating the need to interact with the smartphone, which can be kept in a user’s pocket at all times. Here, we discuss the implementation details of our prototype and outline future research directions.